How to make Shops (New Plugin)! Not many people know this plugin, but I do, so I thought I'd make a tutorial for you guys! 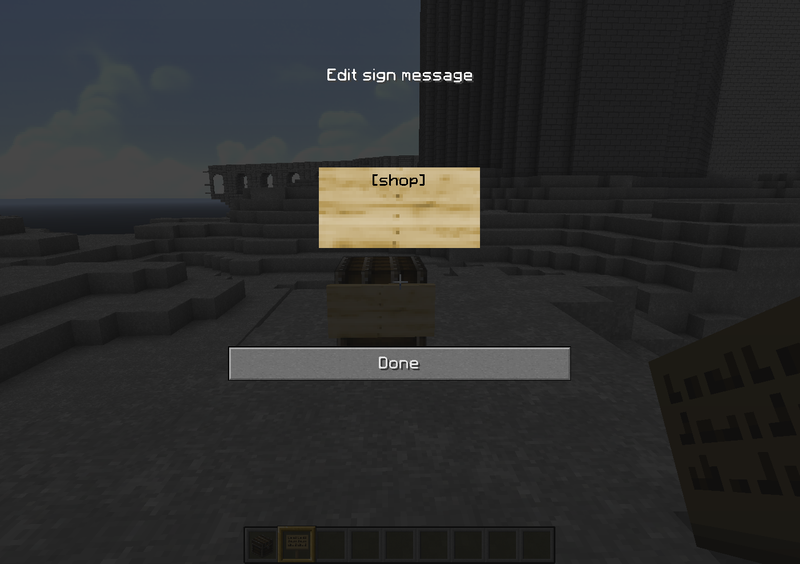 Step 1: Place a sign on a chest, with [shop] on the top line. Step 2: Press enter, you will get an anvil menu. This is the name of your shop. 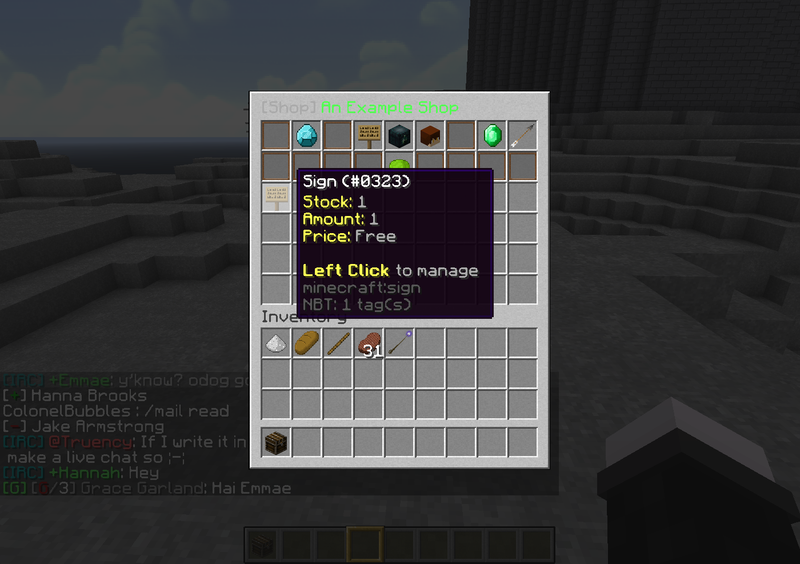 Step 3: Left click an item in your inventory to add it to the shop. The default price is 'Free', and has 1 stock. To add more stock to your shop, click on a stack of items while on this menu. Step 4: Left click to manage the shop, on this menu you can edit the price of it, remove stock, and change how much is sold at once. It will ask you to type the amount in chat. If you go over, you can use negative numbers to decrease it. 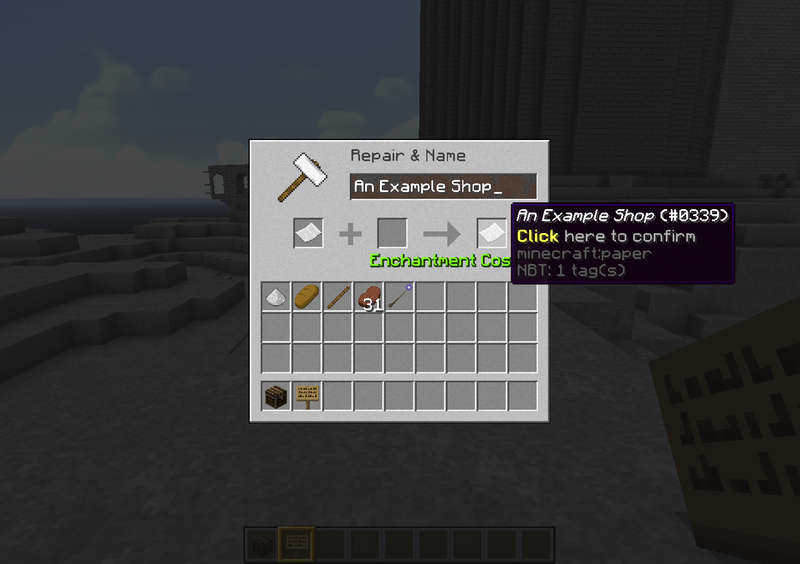 With this shop plugin, you can add multiple items to one shop! Simply left click an item that is not in your shop when on the first menu, and it will add it. It's easy to use, and quick to set up! Using this plugin, you can change the theme of the shop, disable or enable notifications, and many more! You can buy items as well, meaning they will give you items and you pay them! 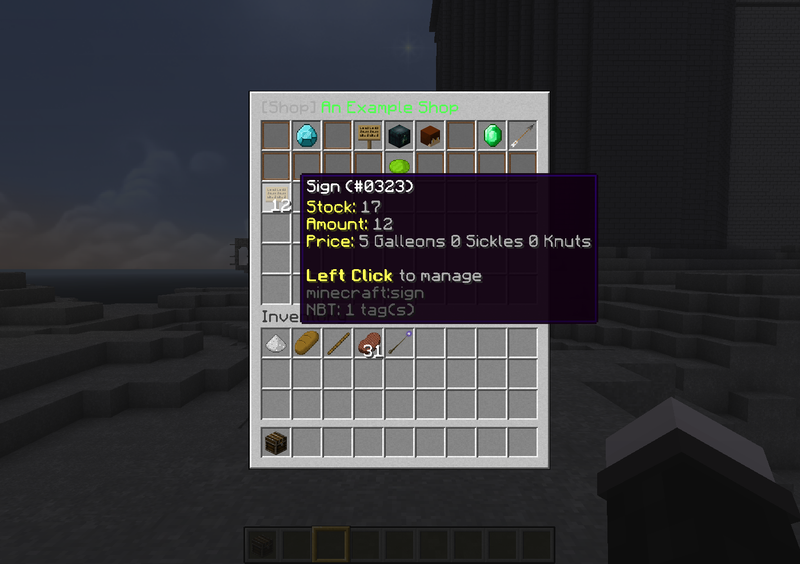 As well, you can make trade menus, for stuff that is not currency. You want a book and quill, in return for a stone pickaxe, sure! All income that you get will be placed in the chest you placed behind it, and your stock is in the sign itself, and will be dropped upon breaking it. *Some things may be unavailable at the moment. @Katna Garland How do people buy the item? Do we use the usual signs or do we make one that matches the plugin? I believe I have completed one shop but I just see "Shop Open" on the chest and no way to buy anything. Basically- What does the sign that they click on look like? You won't be able to see the way to buy the item, as you're the Owner of the shop. The last screenshot shows you what it looks like to the public. Is there a way to make it sell an unlimited amount of a certain item?